Step into the magical world of Disney’s Beauty and The Beast! Based on the Academy-Award winning animated feature, this hit Broadway stage musical version includes all of the wonderful songs written by Alan Menken and the late Howard Ashman along with new songs by Mr. Menken and Tim Rice. You will be transported to the heart of provincial life in a lovely French town where Belle lives with her father Maurice. When Maurice becomes lost in the woods on the way to the fair, he seeks shelter in an old castle, but the master of the castle is a horrible beast that takes him captive. Belle must then give up her freedom in order to save her father’s life. Belle’s taming of the unfortunate Beast and his ultimate transformation back into a handsome prince enthralled Broadway audiences for over 13 years. 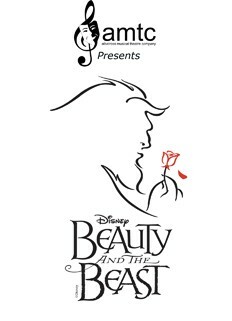 This “tale as old as time” will fill the Shoalhaven Entertainment Centre stage with color and movement along with magnificent singing and dancing. The extended orchestra with a harp will delight your ears. Audiences from young to old will be enchanted. Brought to you by Albatross Musical Theatre Company. The group that staged the highly successful Boy From Oz in 2012 and the sell out Showtime in 2011.